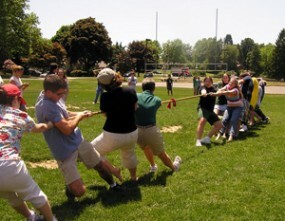 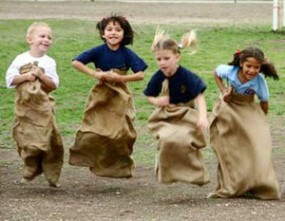 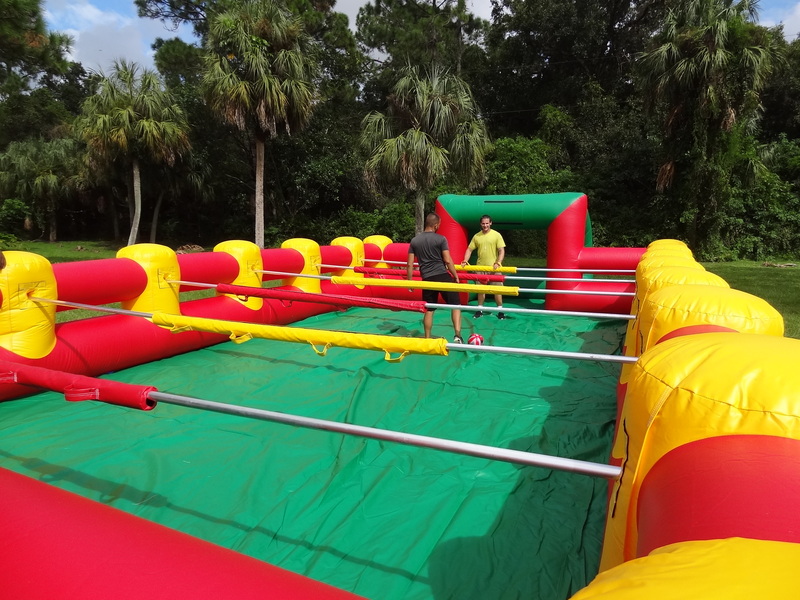 Human Foosball - Up 10 people - Team Building! 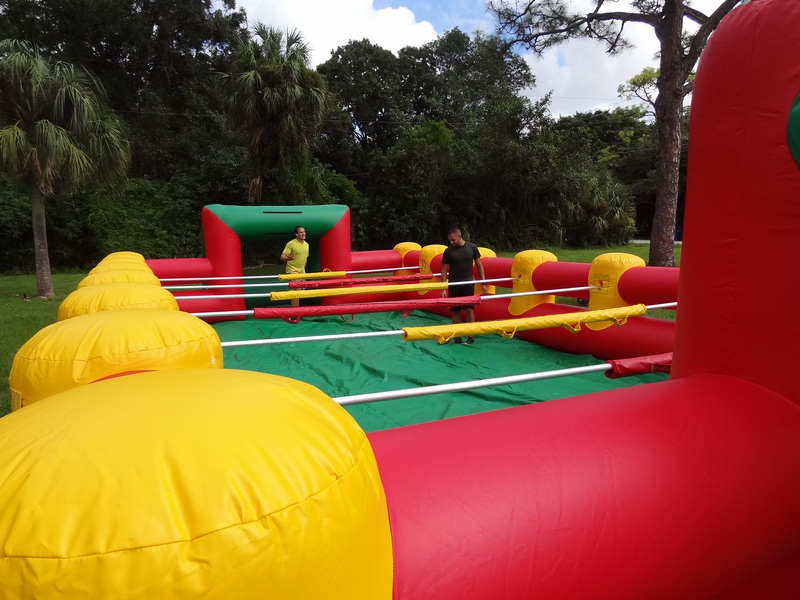 Best Game Ever, Get 10 of the guys (and gals) together and create your own life-sized foosball game inside the South Florida Bounce Inflatable Foosball Game. 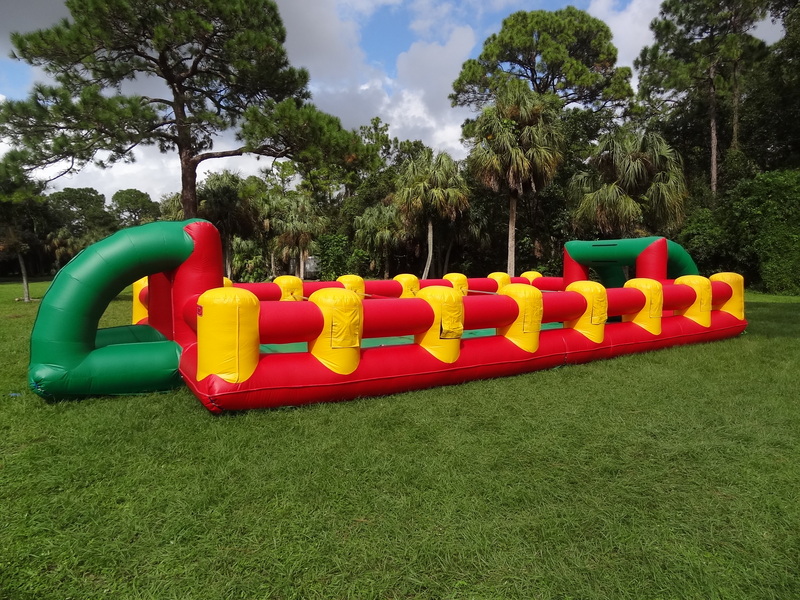 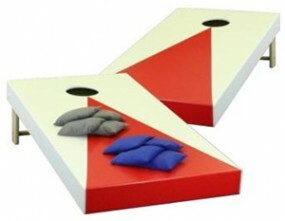 This inflatable game comes complete with flexible rods to “move” each player and two enclosed goals to keep the ball in play.